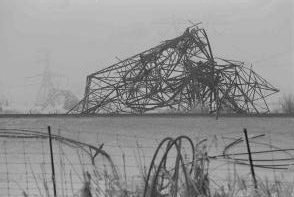 The 1998 ice storm caused severe damage to Hydro-Québec’s power transmission system. 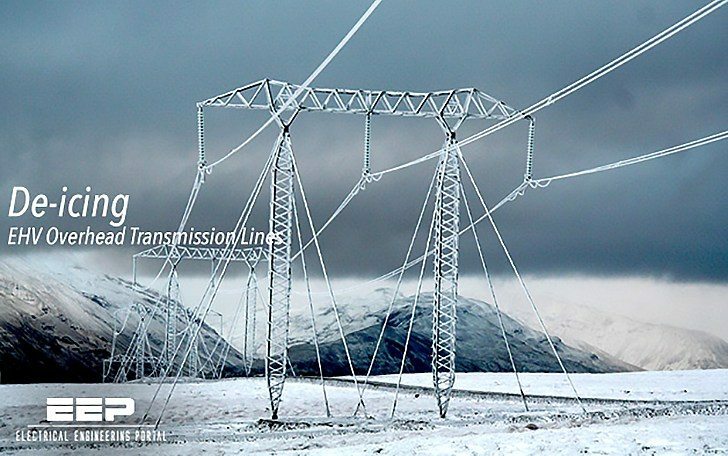 Most of the damage on overhead transmission lines was due to ice accumulation on conductors, causing towers to collapse (Figure 1). De-icing methods using techniques such as conductor heating or mechanical de-icing using a roller are possible for overhead lines ranging from 25 to 245 kV. However, such methods cannot be easily applied to lines with twin or quad conductors at rated voltages of 315 & 735 kV respectively. To protect these lines against damage following future ice storms, a new de-icing method based on the circulation of short circuit current (ISC) at the rated voltage of lines was tested at IREQ . 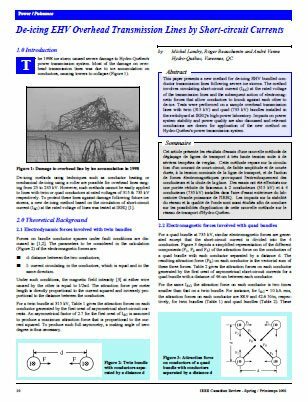 Forces on bundle conductor spacers under fault conditions are discussed in [1,2]. I: current circulating in the conductors, which is equal and in the same direction. Under such conditions, the magnetic field intensity  at either wire caused by the other is equal to I/2pd. The attraction force per meter length is directly proportional to the current squared and inversely proportional to the distance between the conductors. For a twin bundle at 315 kV, Table 1 gives the attraction forces on each conductor generated by the first crest of asymmetrical short-circuit currents. An asymmetrical factor of 2.7 for the first crest of ISC is assumed to produce a maximum attraction force that is proportional to the current squared. To produce such full asymmetry, a making angle of zero degree is thus necessary.